Hope you are all doing really well? I must admit I'm led in bed feeling pretty darn sorry for myself. Yes I have my first bout of autumn/winter flu and I'm not coping to well at the moment. Despite feeling like my head has transformed into a brick I have a super exciting post for you tonight and I’m being serious now when I opened this little box of pure beauty goodness it felt like Christmas had come early! 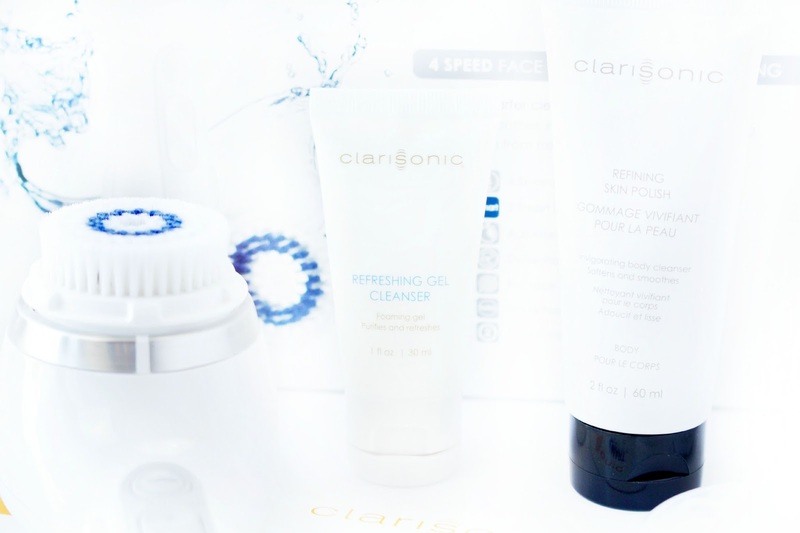 The past few years have seen ‘Beauty Boxes’ really take off with a lot of different variations. However, when I found out that one of my favourite magazines Glamour and their extremely talented Beauty Director Alessandra Steinherr had collaborated with ‘Latest in Beauty’ to create a powerhouse beauty box I just couldn’t say no. 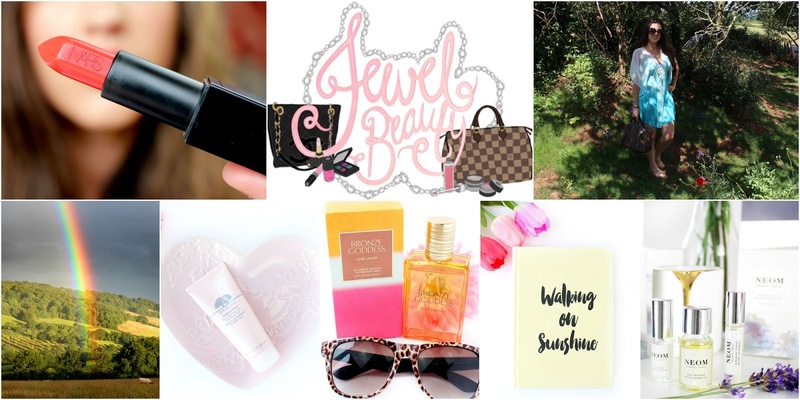 This is the first time I have reviewed a beauty box on my blog, so I will talk you through all the products and how I feel about the box overall. I hope you enjoy this review lovelies and I would love to hear from you in the comments section below. Don’t forget you can also use my social media icons to contact me a little quicker! 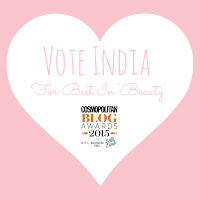 The Glamour Beauty Power List Edit contains eight of the most hard-working products from the 2015 Beauty Power List. This little box of goodness really is jam-packed with highly coveted products from cult favourites to must-try newbies. 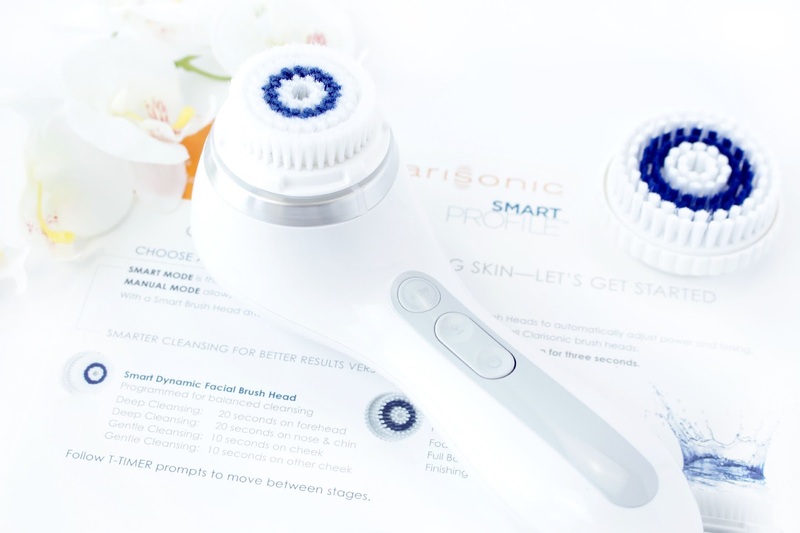 There’s really something for everyone and there is a fantastic selection of beauty, skincare and hair products with a whopping total value of £92.87… not to worry my loves, as this little powerhouse is available to purchase for just £18.99. 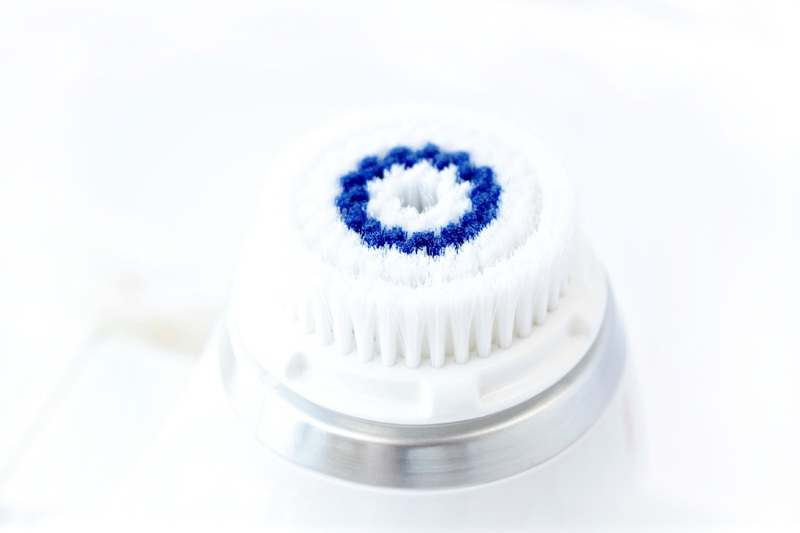 When I saw this product in the beauty box I actually felt like god had answered my prayers. Sleeping is not my forte, so anything I can find to help my skin look half decent is always welcome in my collection. 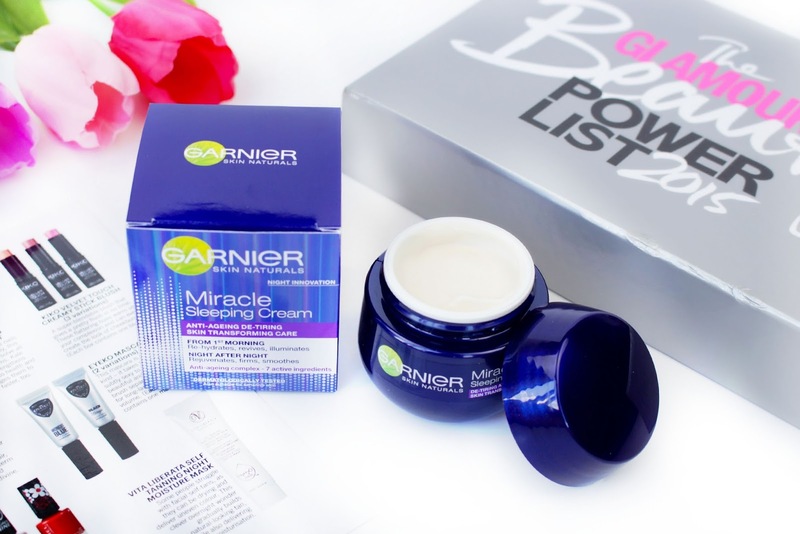 The Garnier Miracle Sleeping Cream promotes beautiful skin with minimal effort. 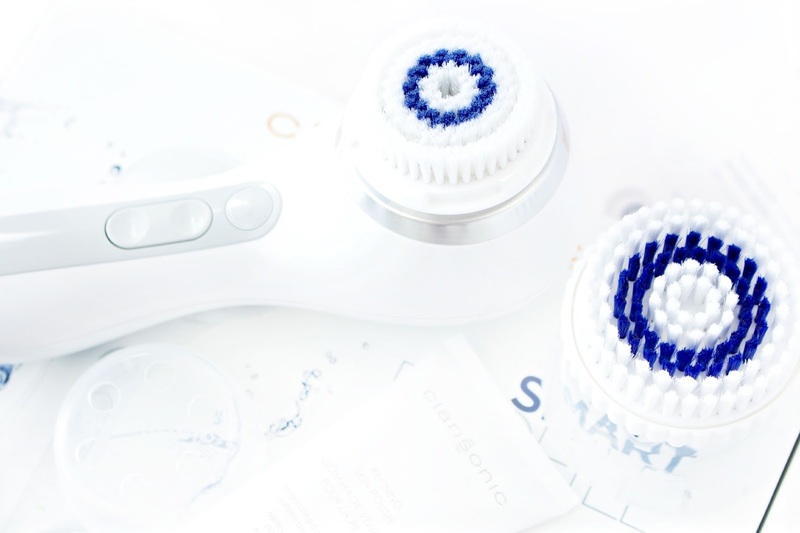 A simple application results in plumped, fresher-looking skin. 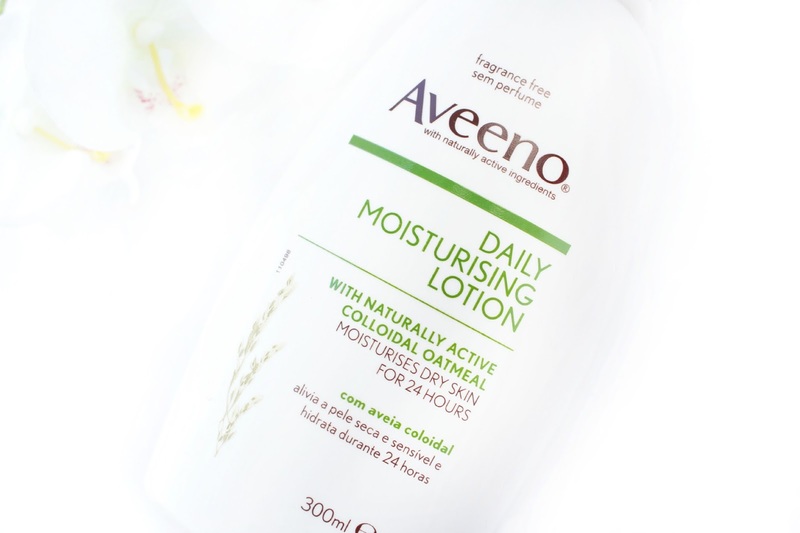 I've used this a few times already and I'm obsessed with the bouncy texture and the way it makes my skin feel! 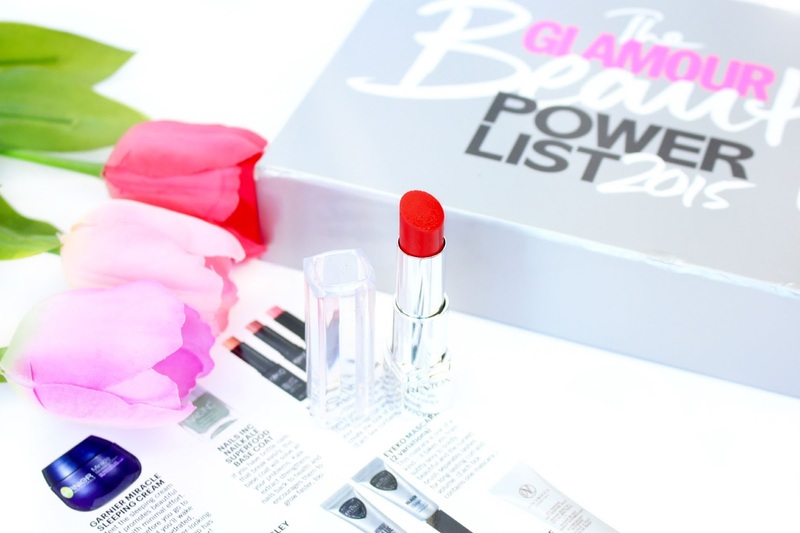 With three variations available within the Power List Box I was so happy to receive the shade 'Gladioulus' which is a bright red that I would describe as being more cool toned. A few people say it has subtle tones of orange (which it may have) but it definitely appears more blue based compared to the likes of MACs Lady Danger & NARS Lana. The HD lipsticks are a revolutionary wax-free gel formula, which ensure true colour without feeling heavy. I would have to say this if my favourite product out of all of the box as I seriously haven't put it down. I love a Red lip these days and I find Gladlicious to be hydrating, pigmented and super long lasting. Plus it's the shade that the extremely gorgeous 'Emma Stone' rocked in this picture. It's a win win for me. 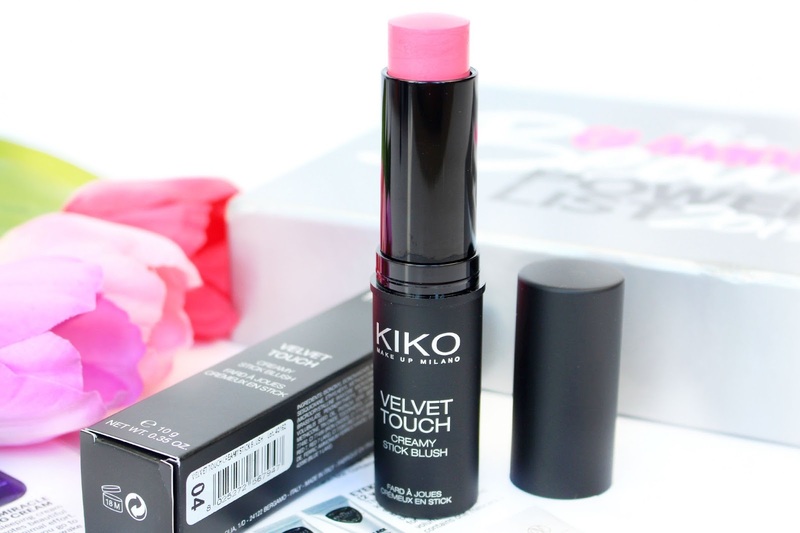 I wasn't quite sure what to expect as I was unpacking the Kiko Velvet Touch Cream Blush.. but Oh Em Gee! I could not get over the shade 04 - Hot Pink... It's honestly the most beautiful Barbie Pink (not tacky Barbie though) It was love at first sight. After getting over my initial love for the colour I was happy to find that this shade was actually super easy to tone down and on the skin it appears as a nice rosy flush of colour (very similar to Dior's Rosy Glow) The texture is really comfortable and easy to work with! 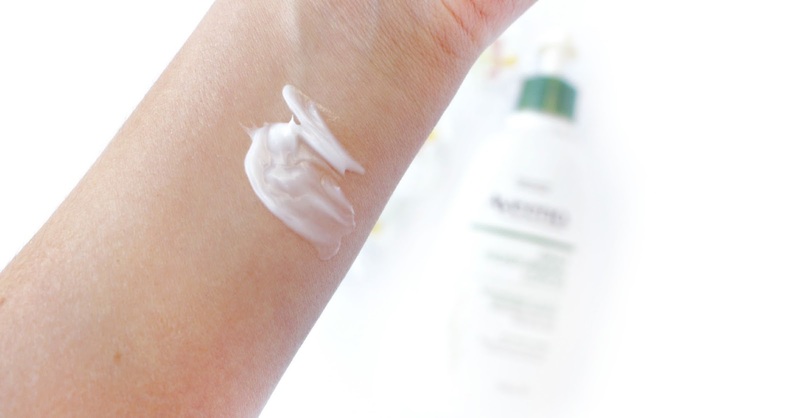 As a first time Kiko user I must admit I'm super impressed. I must admit I'm not a huge nail polish wearer, but when I saw the shade 'Glaston-Berry' by Rita Ora I was instantly in love. 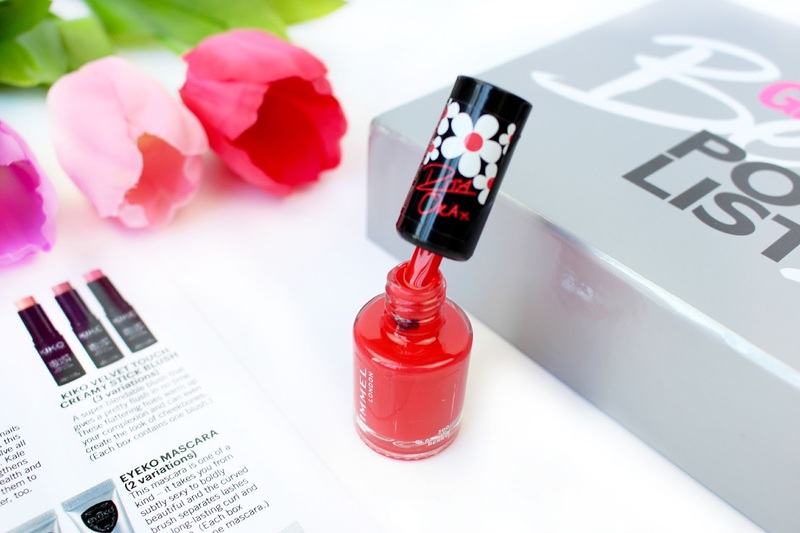 I haven't actually tried this product yet, but I know you can't go wrong with Rimmel... So I'm looking forward to trying this out in the future. 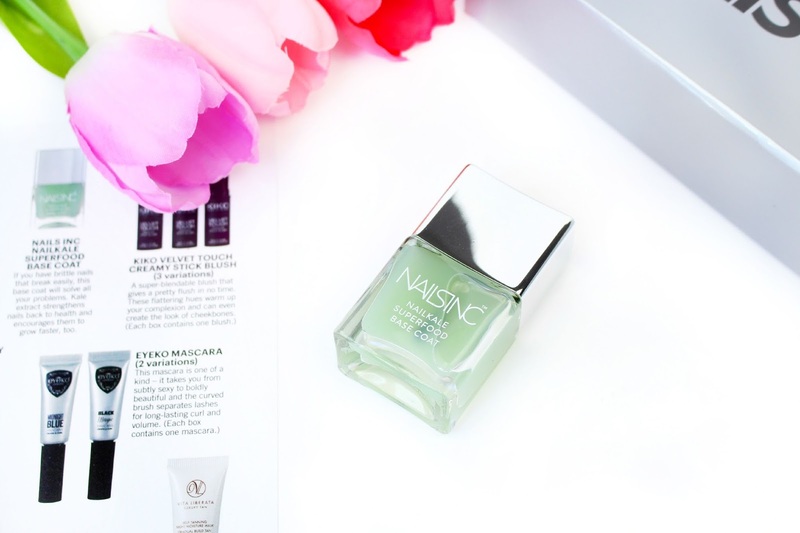 When I first saw the Nails Inc Nailkale Superfood Base Coat I was beyond excited. Seriously (Like the night cream) I felt like god had answered my prayers. Between one thing and another my anxiety has contributed to me struggling to keep my nails in the best condition. The formula contains a whole bunch of fortifying ingredients such as aloe vera, lemon, ginseng, pomegranate and grape to nourish, smoothing and brighten the overall appearance of the nail. 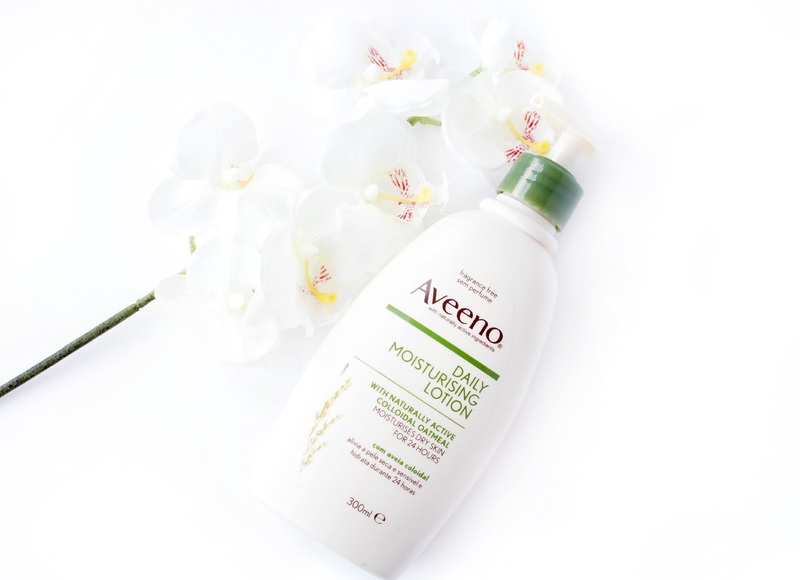 If that's not enough the formula also contains vitamins A,C,E,F and H for protection against breakage. I'm super excited to star using this over the next few weeks. 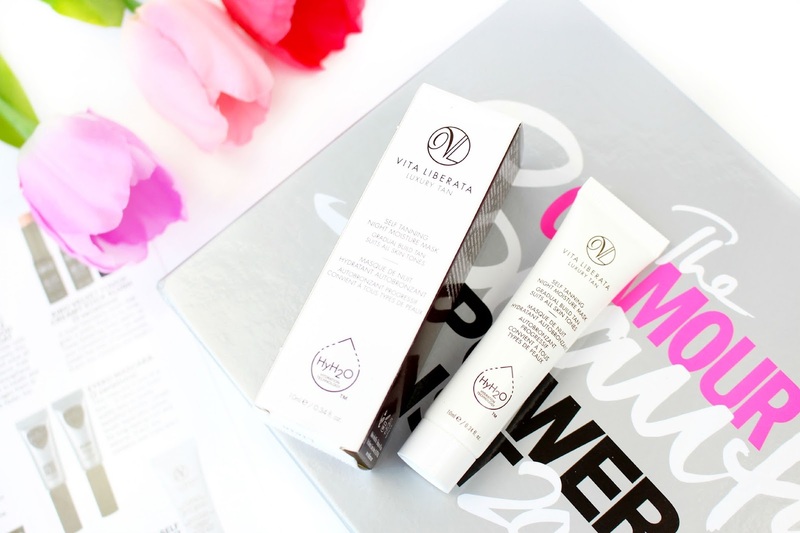 I'm a huge fan of Vita Liberata and it was really nice to see this new release within the box. 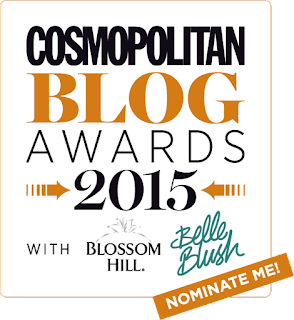 I've use many products from Vita Liberata in the past and have always been very impressed. The Vita Liberata Self Tanning Night Moisture Mask uses HyH20 technology which is designed to deliver a stunning natural glow by the morning, along with intense overnight hydration. I can honestly see myself buying the full size version of this, as it reminds me of the Origins Drink Up Intensive Mask (but with a hint of tan) all you origins lovers will love this. Seeing an Eyeko box was super nolstalgic for me, as I used to use their products when I was like maybe 13?! 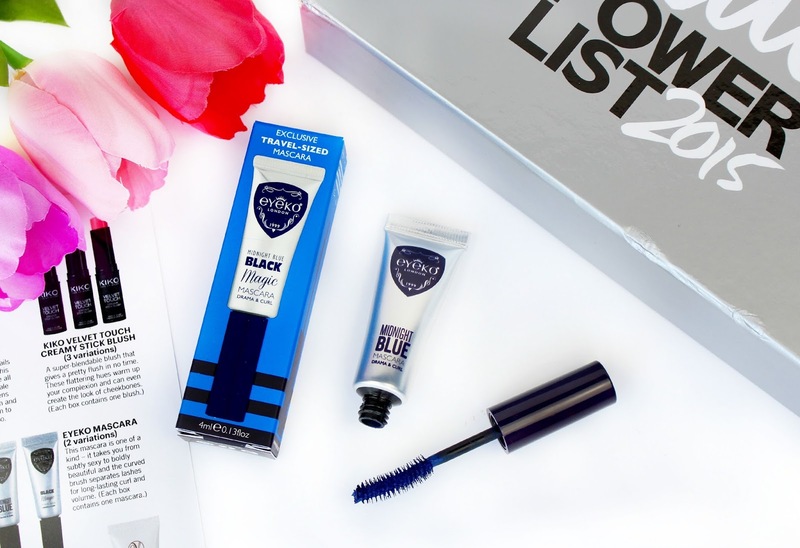 I haven't tried any of their products in so long and I was pretty excited to see the Eyeko Mascara within the Beauty Power Box. I recieved the shade ' Midnight Blue' which I was slightly hesitant about. However, it's a lot more natural than I was expecting.. and I actually quite like it. It's definitley a much more fun way to amplify your lashes! I honestly can't praise this beauty box enough! There is such a fantastic variety of cult favourites and new realeases which really makes this box stand out. I've always put off subscribing to beauty boxes, as I've always wondered how much use I would get out of the contents. 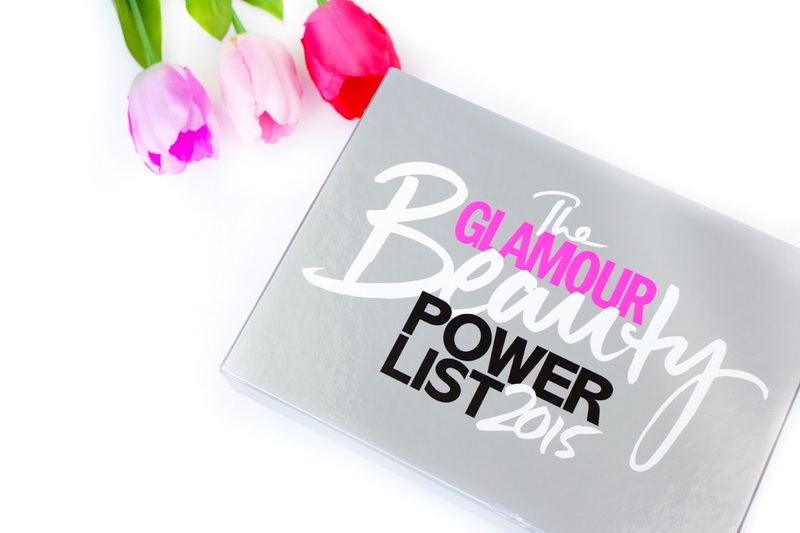 However, the The Glamour Beauty Power List Edit contains everything a beauty lover could wish for, including makeup, skincare, self tanning and nail care products. There really is something for everyone. 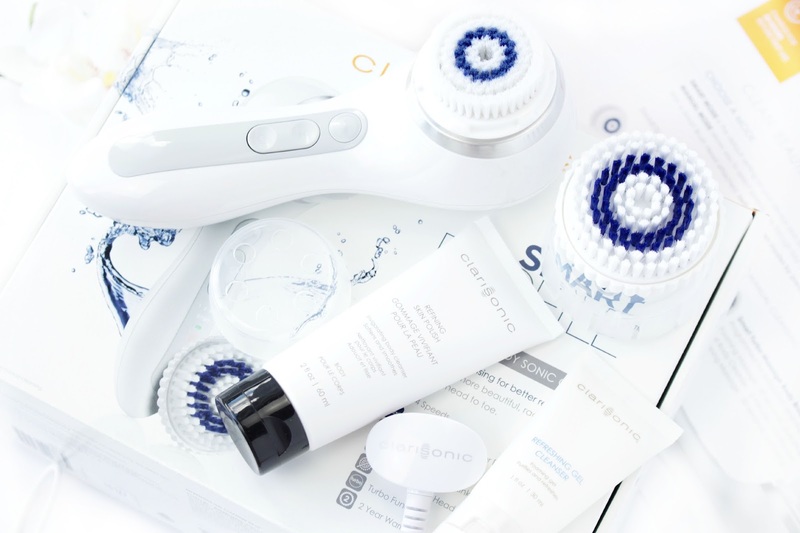 For just £18.99 you get a beauty box with a value of over £90, which is just amazing. 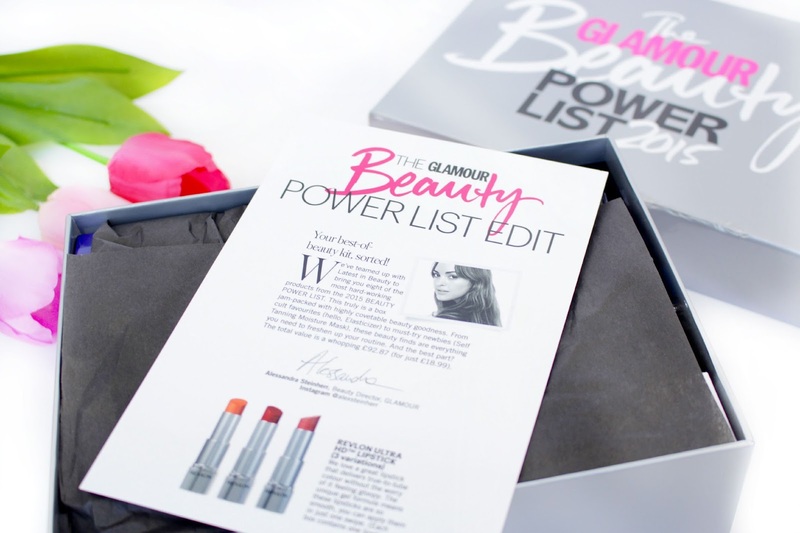 I would 100% recommend the Latest in Beauty 'Glamour Beauty Power List 2015 Beauty Box' and think Alessandra Steinherr has done a fab job of putting together a beauty box of dreams! Anyway my loves without going off on a giant ramble.. It's hard to say this without sounding smushy! but my blog has honestly been one of the best things to happen to me. It has grown with me since 2012 and I've had amazing opportunities and have made great friends through the blogging community. It hasn't always been the easiest journey and I have seriously self doubted my ability to continue with this journey at times and I'm sure I'm not the only one to feel that way... but what great journey doesn't have it's ups and downs? 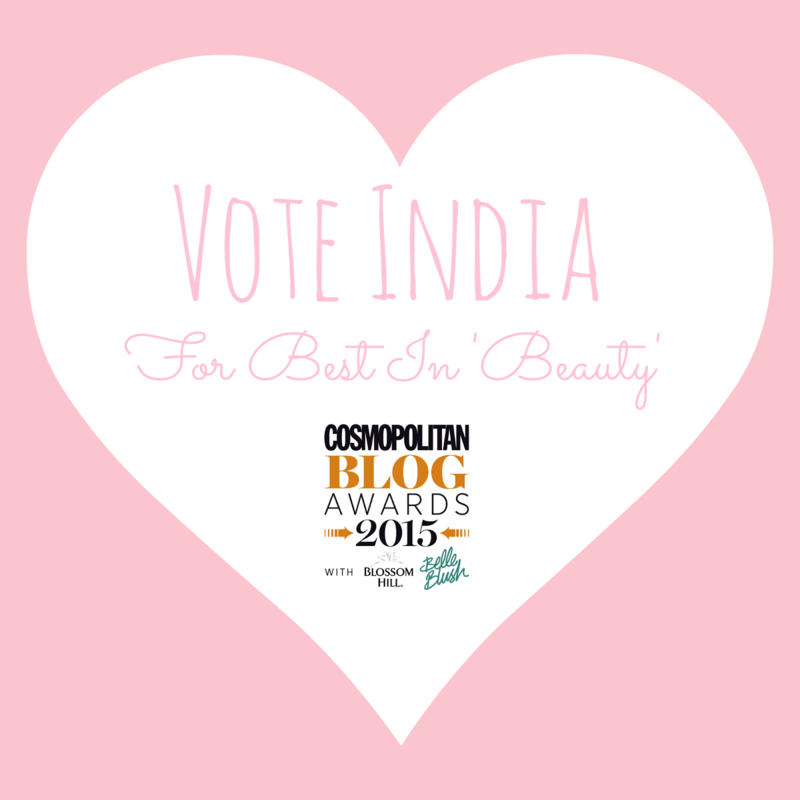 I'm still going and I'm looking forward to seeing what's next for 'The Jewel Beauty Blog' - It would honestly be SO amazing if you could take a few moments to vote for me under the 'beauty' category. 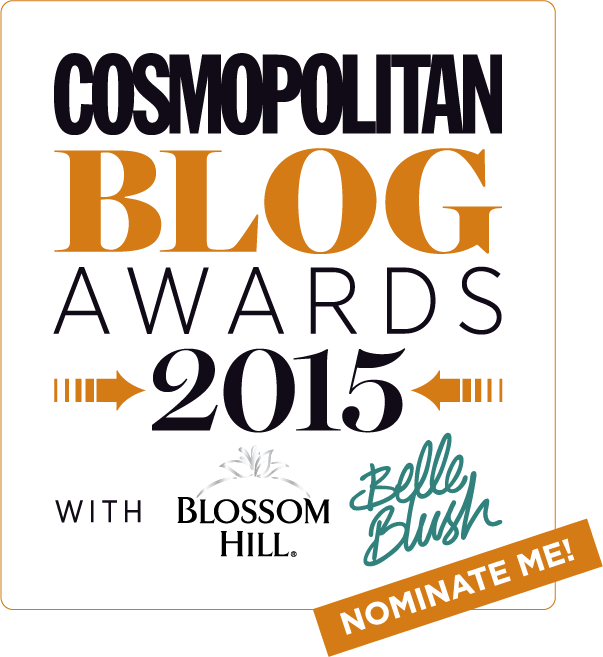 There are SO many amazing bloggers entering and I will be voting for my favourites too. Thanks so much for supporting me! You are all fantastic.